Travelling on a flight with Lufthansa soon? Find out everything you need to know about Lufthansa baggage allowance, restrictions, fees and charges. When travelling with Lufthansa your free baggage allowance is based upon the ticket type you have purchased and the route you will be taking. Note: The number of pieces of carry-on baggage permitted is determined by the travel class booked. For foldable garment bags: 57 x 54 x 15 cm. You can also bring another item as carry-on baggage (Max. 30 x 40 x 10 cm). This could be a small handbag, small laptop bag or a briefcase ect. If you’re travelling on Lufthansa airlines with excess baggage, flat fees will be charged. Changes can differ depending on your ticket type and route of flight Ect. For this reason it is recommended you check with the Lufthansa Service Centre if you can book excess baggage onto your chosen flights. Some routes offered by the airline offer the option of adding another bag for a discounted price. Please note if your baggage is too large, you might be charged for another bag. Therefore, it is important to check before flying. For a list of flat fees for excess baggage, please click here. Bulky items of baggage and other special baggage are on a special tariff. Further information about these can be obtained from the Lufthansa Service Centre. Sports baggage is carried free of charge under the free baggage regulations (number/weight of bags). For those travelling on a light fare, this is not applicable. You can register your sports baggage up to 24 hours before departure, via the Lufthansa Service Centre. The maximum weigh for sports goods is 32 kg: If your sports baggage exceeds this then charges for cargo transport apply. If you will be travelling with sports baggage that exceeds the free baggage allowance but not the maximum weight that is specified, please click here for rules and prices. 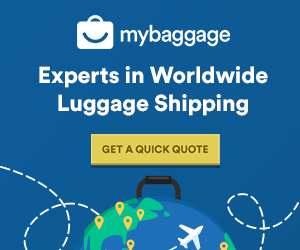 Instead of having to worry about collecting your baggage at the carousel and the stress of worrying about registering for your excess luggage prior to your flight and whether they exceed the regulations – use My Baggage instead! We can save you time and money.